« Pesti Vigadó – Historic Walk for Free! As a tradition, this year again the Kecskemét Animation Film Festival is moving to Budapest just for one day! Saturday, September 30, the festival program will feature a selection of animated films for children and adults. The most popular and award-winning films … “Goodies” will be hit on the big screen. Two Hungarian blocks will feature a selection of Australia’s excellence and the British animation feature Ethel and Ernest. The KAFF Day begins at 3 o’clock with a selection of Hungarian fairy tales, for which the organizers are looking forward to families. This is recommended by the British family film Ethel and Ernest from 4.30 p,m. to older kids and adults. 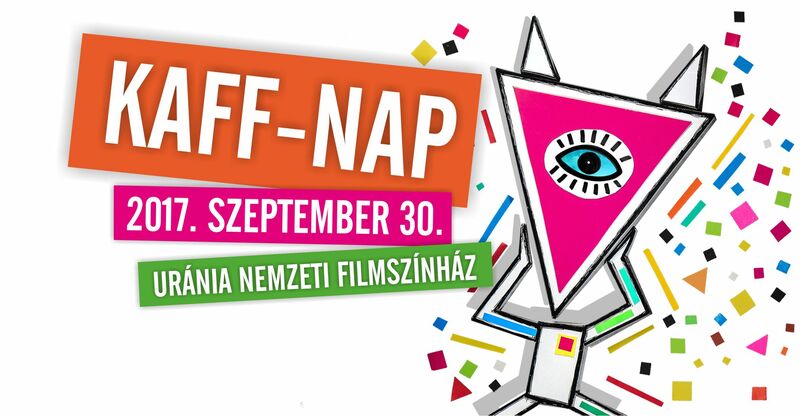 From 6.30 p.m. onwards, KAFF’s Hungarian short film and TV series will be shown, and at 8.30 p.m. the Australian animation will close the KAFF day. The Rectangular Round Forest / No tumble – Horváth Mária (13 KAFF – of Kecskemét Media Center Special Prize), Hoppi Tales / Remembrance Day – Rófusz Ferenc (13 KAFF – The MTVA Special Prize), rose on the moon – Horváth Molnár Pann, Shipwrecked – Szeiler Péter Kaláka – Nothing about the man – Chunky year, a pile kufli / Never eat mushrooms for breakfast – Pálfi Szabolcs, Jurik Kristó, Body Hopp – Bakos Barbara, Deer Hey! – Bárczy Örs, Mutty tales / fox guy sons – Richly Zsolt king as there are so many fairy tales – Szederkényi Bella, Somhatalom – Bertóti Attila (13 KAFF – the jury praise). Raymond Briggs’s 1998 film, a hand-drawn, full-length animated film, Raymond’s parents – Ethel and Ernest – is a true story of Raymond Briggs’s 1998 great book. We are familiar with the average London family who are experiencing special events and huge social changes. 6.30 p.m. – Selection from KAFF Short Film and TV Film Contest (96 ‘) with English subtitles. Kojot and the pale-face – Áron Gauder (13th KAFF – Best Screenplay Award), Gypsy Tales / The Fire Snake – László Balajthy (13th KAFF – Best 3D Movie Award), Mimik – Varga Petra (13th KAFF – Best Animated Work), Some words – László Csáki, All My Days – Mira Zeno (13th KAFF – The Metropolitan University’s Sentiment Award), Mouse – Ervin B. Ervin (13th KAFF – The Best Picture Format Language), Home Party – Daniel’s Lamb, Second Hand – Noemi Barkóczi, Fiaskó – Szabolcs Nagy (13th KAFF – Best First Film Award), The 13th Princess – Russian Tina (13th KAFF – Best Student Film Award), Love – Réka Bucsi (13th KAFF – Best Short Film Award, National Student Jury Award), Commitment – Judit Wunder (Grandfather of the 13th KAFF), Balcon – Dell’Edera Dávid (13th KAFF – Award for Hungarian Film Critics), Honor – Árpád Koós, Béla Klingl (13th KAFF – Best Television Series Award). Screened in original language:Harvie Krumpet – Adam Eliot, The mother’s voice – Dennis Tupicoff, Little Treasures – Sarah Watt, Noelene Giblet kidnapping – Susan Earl, Chainsaw – Dennis Tupicoff.